You see, the definitions at the beginning had one thing wrong. They are definitions of solitary, lone-wolves. But, even lone-wolves belong to a group. They just prefer to avoid the assistance of others in certain matters. The rogue trader’s pack is the howling, fierce management for which he works. Lone-wolves always have alpha members they take orders from, don’t they? Lone-wolves are sometimes excluded from the pack to protect that alpha-male, thus preventing ‘in-breeding’ in the pack. It’s exactly the same in the trading world of finance. The rogue trader is excluded from the pack, forced to work alone, shunned so that if caught, there will be no ‘inter-breeding’. The alpha-male manager won’t be caught and be brought down if the rogue falls! 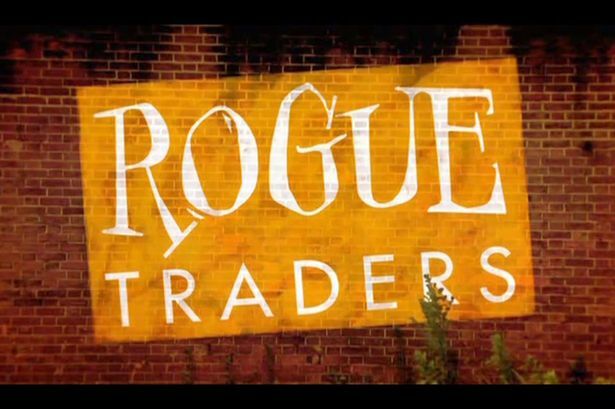 So, who are the rogue traders that have experienced all of this? Here’s a small sample (the ones we know of!). He was sentenced to 7.5 years in prison on January 17th 2003 for hiding the losses that he incurred as a currency trader. He hid the losses for a year. He is now under confinement at his home (since January 2009, meaning that he served almost six years for his rogue trading). He was ordered to pay back $1, 000 per month after his release from prison and despite the fact that he remains in debt to the full sum of $691.2 million he will probably never be able to pay it back. How did it all happen? Allfirst Bank wished to make its forex operations go from just hedging to bringing in a yield of profits and thus increase the total profits of the bank. John Rusnak was hired to do this. Rusnak was bullish on the Yen. He believed that the Yen would not fall any more after the bursting of the Japanese bubble. He believed that the Yen would rise against the Dollar. He neglected to hedge his forward contracts believing that the Yen could not fail to rise. With the onset of the Asian crisis, the Yen fell. He thus entered false options into the systems to make it seem as if the positions were hedged. He also asked for more money from high brokerage accounts in order to try to win back the money that he had already lost. The management granted this to him and he invested even more money. Rusnak made a personal gain of $550, 000 in bonuses plus his salary. The losses only came to light when the bank asked for capital to be released and they realized that Rusnak had been working in the red all the time. Rusnak was fired from his position and along with him he brought down 6 senior executives for failing to detect the scam. The guy that brought down the Daiwa Bank of Japan and incurred losses of $1.1 billion. Iguchi was a government bond trader in Japan who made 300, 000 unauthorized trades between 1983 and 1995. As early as 1983 he in fact lost $70, 000 but concealed this from his management for fear of losing his job. He wrote a thirty-page letter to his boss in 1995 explaining that the losses had just got bigger and bigger and that he was unable to do anything to rectify the situation. It seems strange however that for 12 years Iguchi was able to carry on regardless without any control or surveillance from anyone. Iguchi wrote three books when he was released from prison: The Dollar Conspiracy, My Billion Dollar Education and Confessions. But, he spent four years in prison and his $2.6 million in debts were eaten up by the royalties. He went back to live in Kobe, Japan. He started an English-language school there. The guy that brought down Barings Bank and incurred losses of $1.3 billion. Nick Leeson was a derivatives broker at Barings Bank (the oldest investment bank in the UK). The bank had been founded in 1762 and ceased to operate in 1995, when the Leeson scandal broke. Leeson was appointed general manager (futures markets) on the Singapore International Monetary Exchange in 1992. One interesting thing is that Leeson had already been refused a broker’s license in the UK due to reasons of fraud in his application. He obtained one in Singapore, however. Leeson was earning £50, 000 a year in 1992 and bonuses exceeded double that sum: £130, 000. He was undertaking unauthorized speculation on behalf of Barings, netting profits for the bank of up to £10 million (which was about 10% of their annual income). When things took a downturn he used an error account to try to rectify the losses. The account was the infamous number 88888. The account was used to hide his bad debts. The losses were easy to hide since Leeson was working on his own and had no control from anyone. Losses in 1992 stood at £2 million. By 1994 they were at £208 million. Leeson placed a short straddle (a strategy that means that he sold a put and a call at the same time). Losses neared £827 million or $1.3 billion by 1995, when Leeson jumped ship leaving a little note just saying“I’m sorry”. The bank was declared bankrupt in February 1995. It was sold for a token £1 to the ING banking group. The guy that brought down UBS and incurred losses of $2.3 billion. This guy is the most recent rogue trader to date, but only the second highest in terms of loss and debts incurred. He was a trader at the Swiss UBS bank and was charged on September 16th 2011 with fraud and false accounting. He was found guilty on 20th November 2012 and was sentenced to seven years in prison. On March 1st 2013, Adoboli appealed against the sentence. Adoboli’s salary and bonuses combined stood at £360, 000 before his arrest. He was trading in excess of limits. He was booking fake trades to hide behind. But, he also stated that this was in line with recommendations of the bank. He said that his colleagues knew of his hidden account and that his managers were aware of the losses and had pushed him to make sure that he recouped on them (all five of them were fired immediately). The guy that brought down Société Générale, and incurred losses of $6 billion. Keviel was a French trader. He was accused of breach of trust, forgery and unauthorized use of IT systems. He was earning bonuses of €60,000 along with a €74,000-salary (2006), which quite honestly is relatively little in the financial world. The bank that brought the case against Kerviel states that he was working without the authorization of his superiors and the bank had no knowledge of this whatsoever. He began creating fake trades as from 2006 (and he started working for the Société Générale in 2000). He is accused of having traded at levels that exceeded the market capitalization of the bank. It certainly begs the question as to how it would be possible to trade at over the market capitalization of the bank without anyone at the bank actually finding out. Was he the scapegoat or the rogue trader of the SG? Apparently hundred and thousands of trades were carried out by Kerviel, hidden behind false hedge trades. Kerviel was charged on January 28th 2008 and his trial began on June 8th 2010. His sentence has been suspended while appeals are made. It’s almost impossible to believe that managers at a bank cannot be aware of false trading at this level. Is there not a daily balancing of books – and oversight of excessive losses and excessive gains? Then again the whole financial world is now fraudulent. They are just package and repackage the same debt over again. I understand that there is 6 times the cash value of all the world’s assets being traded at any one time. I was discussing the same topic only yesterday with a company that flag rogue/unauthorised trading. « What is Private Equity?